I am very happy to announce that the giveaway sponsored by A Wondering Dawn brought in a great amount of entries, sadly the giveaway has ended, but with sad news comes some good news! We have a winner!! 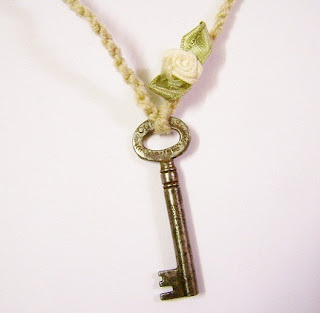 If you still want your own Key to Heart Necklaces and other great eco-friendly goodies please make sure to visit Dawn's Etsy Shop and stop by her Facebook, Twitter and other sites and show her some love! It was such a great pleasure to have worked with Dawn and have had the honor of being able to giveaway such a great item! I'm sure Solarride will enjoy her new Key to Heart Necklace as much as I have! It is a must have in your accessory collection!